Are you dreaming of a tiny house to call home? Whether you’re looking to downsize for financial freedom or a smaller environmental footprint, you’ll be pleased to know that a whole market has sprung up to offer a wide array of micro-homes that are not only affordable, but also beautiful to boot. We’ve rounded up six such tiny homes that you can buy right now - from prefabricated cabins available for under $10,000 to a portable timber home ready for move-in and immediate travel. 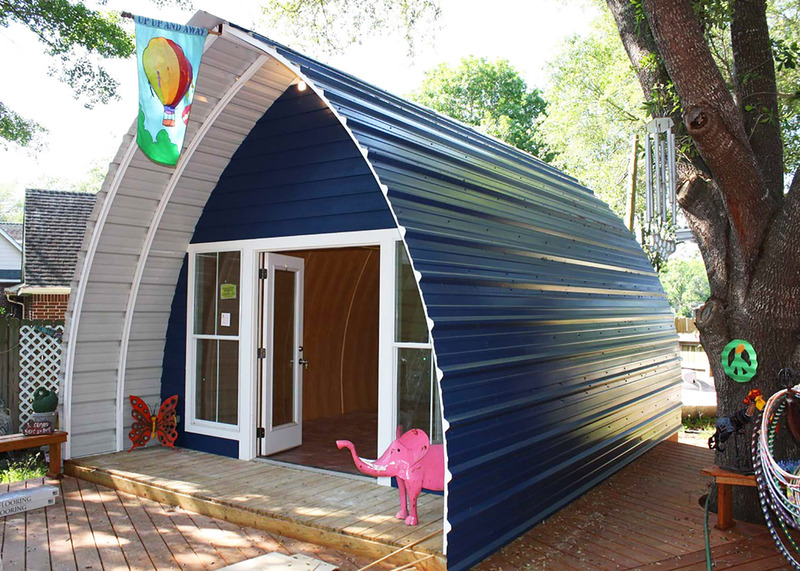 One of the most affordable housing options we’ve seen lately are Arched Cabins’ prefabricated steel homes. These sturdy and incredibly versatile structures can withstand up to 150 mile-per-hour winds and even 30 pounds-per-square-foot of snow. To keep costs to a minimum, the homes are sold as customizable DIY kits that can be put together in as little as three days. Prices for the kits begin at $1,000 before shipping, and they can be delivered anywhere in the lower 48 states of the U.S.
84 Lumber recently rolled out a new line of affordable and portable tiny homes that come in three package options: DIY, semi-DIY, or as a finished, move-in ready home. The customizable models range from 150 square feet to 200 square feet and start at just $6,884 for the trailer and plans. For those wanting a tiny house ready for move-in and immediate travel, 84 Lumber offers a fully outfitted option that takes up to 10 weeks for custom completion priced from $49,884 and up. Greg Parham founded the Rocky Mountain Tiny Houses company to help others embrace the outdoors and live simply. His tiny mobile homes are often priced below market value but still boast a beautiful contemporary aesthetic with quality (and often reclaimed) materials. 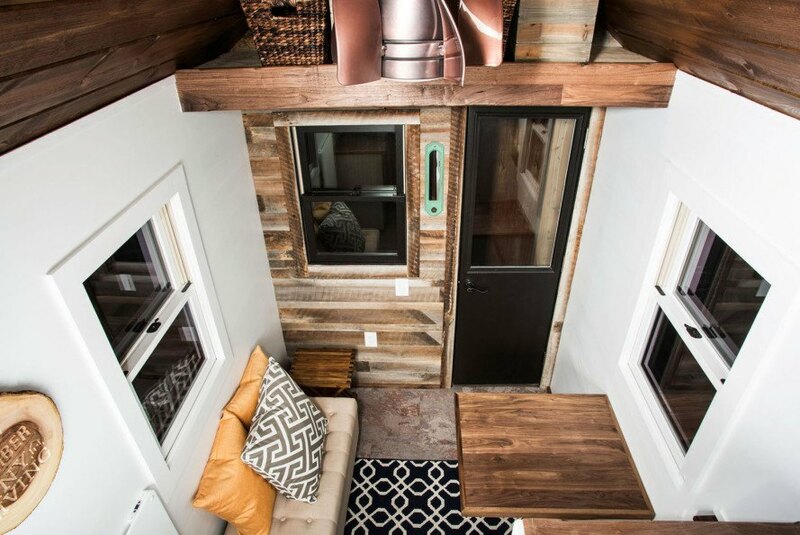 One such example is the stunning Boulder tiny house model that sold for $27,350. Parham can be contacted on his website for custom builds—you’ll need to get on a waiting list—but also offers houses for sale on the website, such as this modern 18-foot Front Range model available for $37,000. If you want an affordable tiny home that gives you creative control over the interior, you’ll love Monarch Tiny Homes. The company offers a 20-feet-long and 8.5-feet-wide Half/Half option in which they build the first half—including the weather-tight insulated facade, flooring, polyurethane roofing, water, sewer, power, and gas lines—and you finish the second half, from the siding to interior design. 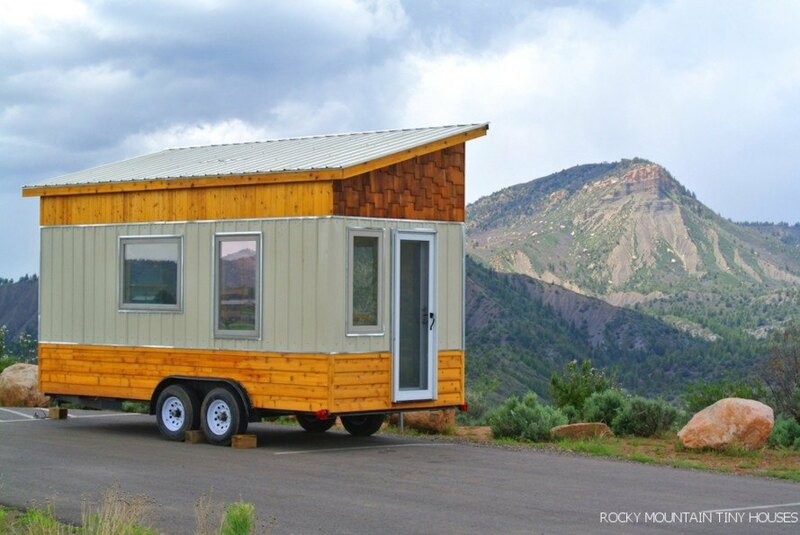 The Half/Half starts at just $20,000, but Monarch Tiny Homes also offers a move-in ready version for $47,000. Prefabrication can dramatically lower the cost of a home, which is why the tiny DublDom homes are so attractive. Designed by BIO Architects, the DublDom modular house series are available in a variety of sizes, starting with the smallest 26-square-meter option priced at a little over $14,000. Each cozy home is clad in timber and double-glazed windows, and can be easily assembled in just one day. 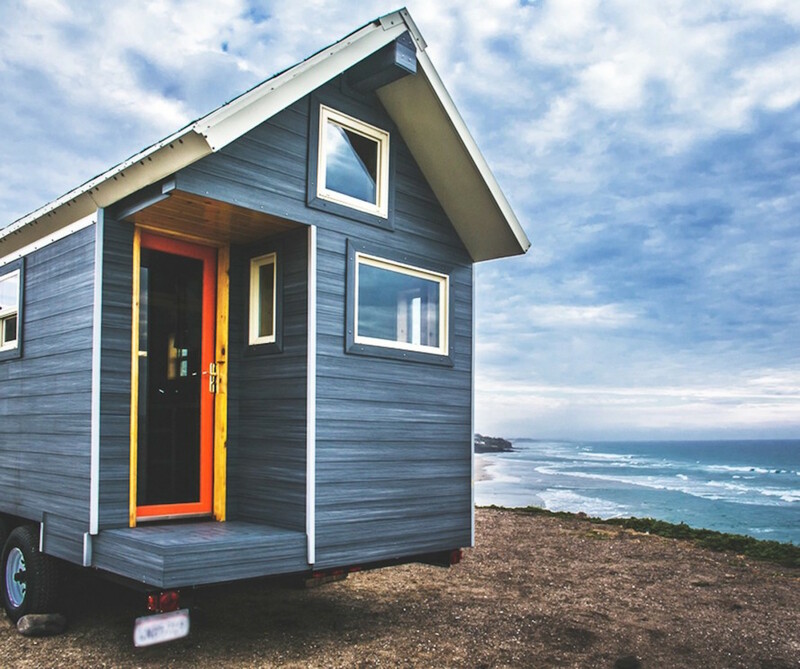 Looking for a tiny home option that steers away from the conventional look? 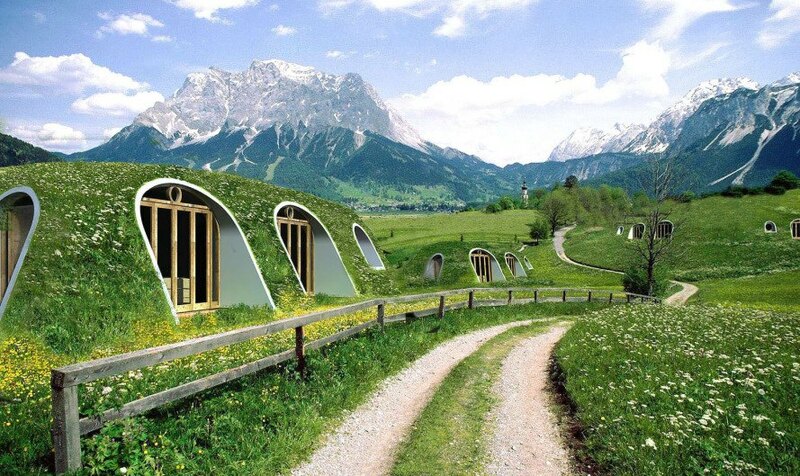 Green Magic Homes offers hobbit-like homes that let you live in harmony with the environment. The company sells their green-roofed homes as DIY kits so that anyone can build their homes at an affordable price. Authorized Green Magic Homes Distributors can also assist in the assembly, however. The starting price for the kit begins at the cost of $41.74 per square foot for the shells. Here's another cool one: The Tiny Solar House (www.tinysolarhouse.com) is an 18' mobile tiny house on wheels powered by solar panels and batteries. It's owner traveled America for 17 months and took it to 27 National Parks! Prefabricated Arched Cabins for under $10,000 One of the most affordable housing options we’ve seen lately are Arched Cabins’ prefabricated steel homes. These sturdy and incredibly versatile structures can withstand up to 150 mile-per-hour winds and even 30 pounds-per-square-foot of snow. To keep costs to a minimum, the homes are sold as customizable DIY kits that can be put together in as little as three days. Prices for the kits begin at $1,000 before shipping, and they can be delivered anywhere in the lower 48 states of the U.S.
84 Lumber’s portable 200-square-foot homes 84 Lumber recently rolled out a new line of affordable and portable tiny homes that come in three package options: DIY, semi-DIY, or as a finished, move-in ready home. The customizable models range from 150 square feet to 200 square feet and start at just $6,884 for the trailer and plans. For those wanting a tiny house ready for move-in and immediate travel, 84 Lumber offers a fully outfitted option that takes up to 10 weeks for custom completion priced from $49,884 and up. Rocky Mountain Tiny Houses offer affordable bespoke homes Greg Parham founded the Rocky Mountain Tiny Houses company to help others embrace the outdoors and live simply. His tiny mobile homes are often priced below market value but still boast a beautiful contemporary aesthetic with quality (and often reclaimed) materials. One such example is the stunning Boulder tiny house model that sold for $27,350. Parham can be contacted on his website for custom builds—you’ll need to get on a waiting list—but also offers houses for sale on the website, such as this modern 18-foot Front Range model available for $37,000. Monarch tiny Half/Half home on wheels starts at just $22,000 If you want an affordable tiny home that gives you creative control over the interior, you’ll love Monarch Tiny Homes. The tiny house company offers a 20-feet-long and 8.5-feet-wide Half/Half option in which they build the first half—including the weather-tight insulated facade, flooring, polyurethane roofing, water, sewer, power, and gas lines—and you finish the second half, from the siding to interior design. The Half/Half starts at just $20,000, but Monarch Tiny Homes also offers a move-in ready version for $47,000. Affordable DublDom home can be assembled in just one day Prefabrication can dramatically lower the cost of a home, which is why the tiny DublDom homes are so attractive. Designed by BIO Architects, the DublDom modular house series are available in a variety of sizes, starting with the smallest 26-square-meter option priced at a little over $14,000. Each cozy home is clad in timber and double-glazed windows, and can be easily assembled in just one day. Green Magic Homes offer affordable hobbit-like living Looking for a tiny home option that steers away from the conventional look? Green Magic Homes offers hobbit-like homes that let you live in harmony with the environment. The company sells their green-roofed homes as DIY kits so that anyone can build their homes at an affordable price. Authorized Green Magic Homes Distributors can also assist in the assembly, however. The starting price for the kit begins at the cost of $41.74 per square foot for the shells.